The 'Na Maloom Afraad 2' trailer is out and it has us wanting more! Actor In Law was a great leap ahead for Pakistani cinema, especially if one compares it to the dynamic duo, director, Nabeel Qureshi and producer, Fizza Ali Meera's first cinematic outing, Na Maloom Afraad. All said and done, the two have only matured as filmmakers and they prove that with Na Maloom Afraad's sequel that released amidst much glory and anticipation in Karachi where the trailer launch took place earlier today. In terms of production and visuals, the trailer is nothing but stunning. The film that's been shot in Cape Town, South Africa and from what we can make out of the trailer is that Fahad Mustafa, Mohsin Abbas Haider and Javed Sheikh return as Farhan, Moon and Shakeel respectively, however, they are now in a new metropolitan city. Apparently, the three travel overseas, but land into deep trouble (yet again) as Sheikh of some Arab country who's visiting Cape Town loses his "golden commode." Now while the film may sound a tad bit (read a lot) mindless, the performances seem hilarious. The three protagonists are as hysterical as ever, only Moon seems to have progressed (more on that later). Urwa Hocane's character seems to have evolved from being the girl-next-door to a modern diva, but it's a pity that we don't get to see much of her in the trailer. New addition to the franchise is Hania Aamir, who not only looks gorgeous, but manages to leave a mark with her quirky acting in what little we've seen of her from the film so far. HIP got a hold of Mohsin, who's worked out extensively to be able to roam shirtless on the beaches of Cape Town. His transition from a unlikeable boy-next-door to a heartthrob is actually pretty impressive. He tells us how his newly toned body is in relevance to the film's progression, "Nabeel had asked me to beef up for one of the songs in the film, but later we realised that Fahad and I need to work on our physique because of the way the sequel is planned. So I feel it's relevant to the story." 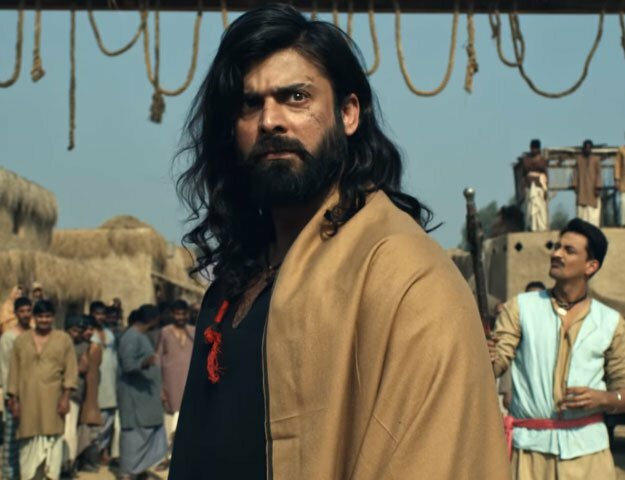 Speaking of his fitness journey, Abbas added, "I was actually shooting for Muqabil is Karachi and had Mazaq Raat in Lahore, so I was constantly traveling. Amidst all of that; since I only had a little over a month before we began shooting for the film, I worked out twice a day. I don't I could've done it without my trainer, Shabber Ahmed Khan and my gym partner, Ashfaq Ahmed Rana who motivated me to give it my absolute fullest." Just how the makers gave us a glimpse of Mehwish Hayat in the film's first instalment's trailer, we see Sadaf Kanwal in what is probably the grandest set for built for an item song. Nayyar Ejaz and Saleem Miraj as antagonists (at least that's what we've been made to feel) are also effective. While the trailer doesn't feature Marina Khan (who's making her film debut with NMA 2), we can barely wait to see her light up the silver screen. All in all, NMA 2's trailer is a clear winner. Not only does the film seem entertaining, but like all Filwala movies, the social commentary in this one is something we’re looking forward to.